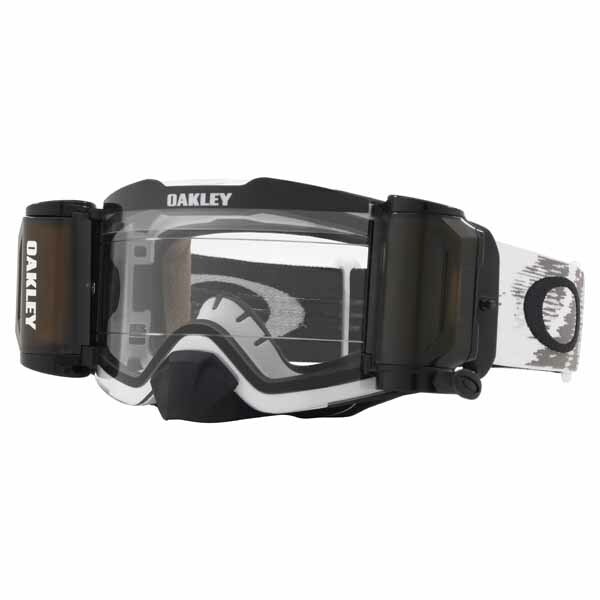 Frontline MX is the latest addition to Oakley's High Impact line of goggles. With a large to medium sized fit, Front Line is optimized for a wide variety of faces and is engineered to fit perfectly with most helmets. Discreet frame notches at temples provide compatibility with most prescription eyewear. Made for more than just spotting obstacles, Prizm™ MX lenses help you see subtle transitions in dirt conditions so you can master all those split-second decisions to make the most of the ride. You'll ride with greater confidence because the precise color filtering helps you pick up fast lines, indentify differences in dirt texture for traction control, and see deeper into ruts where the shadows live. Prizm MX lenses are engineered to perform under a wide range of light conditions, so when the track or trail takes you from sunlight to canopy shade, you'll have all the performance advantages of sharpened visual acuity and vivid color perception.